Accountix provides you the highest quality bookkeeping you expect and the financial recommendations you want. To us, rethinking how businesses keep their books was long overdue. Custom fixed-fee pricing that's transparent and tailored to your needs, not our convenience. For far less than the cost of in-house staff, comprehensive and efficient service options all done right and without headaches. Easy to understand reporting explains your numbers and identifies potential areas for more profits. We handle the books and all the details freeing you to focus on what you need to. Get Clear - Where is my cash? Best in class bookkeeping and financial management will give you the numbers you need when you need them. Get Efficient - Save hundreds of hours per year by outsourcing. 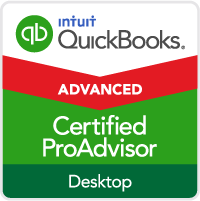 No accounting department headaches and get more bang for your buck. Get Profitable - We go further than anyone in the industry to identify problem areas and potential savings in your business. Expect increased cash flow, lower expenses, and more profit. "We help you get your bookkeeping and financial systems in place so that you can use LivePlan to be more profitable and make better business decisions."